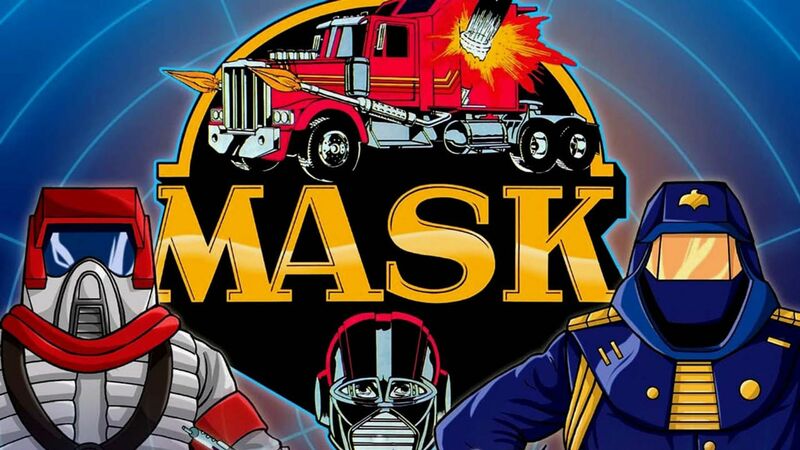 Here's where to watch every episode of M.A.S.K. season 1. Mouseover or tap an episode to see where to stream it. Click or tap the play icon to stream it on the best available service. The Deathstone Sep 30, 1985 A radioactive meteor crashes on Earth and V.E.N.O.M. steals it by disguising Switchblade as a U.F.O. The Star Chariot Oct 1, 1985 V.E.N.O.M. are on the hunt to find the missing part of the Emerald Arrowhead, which will lead to an alien spacecraft, the Star Chariot. The Book of Power Oct 2, 1985 V.E.N.O.M. steals the Book of Power, which is the key to the Lost City of Mong Paco and its giant jewel-covered idol. Highway to Terror Oct 3, 1985 M.A.S.K are on a mission to recover hugely radioactive plutonium that V.E.N.O.M. have stolen from an army vehicle. Video VENOM Oct 4, 1985 V.E.N.O.M. learn to hypnotize people through their televisions in order to help in their plans to incinerate an oil base in Texas. Dinosaur Boy Oct 7, 1985 V.E.N.O.M. kidnaps a young lizard creature known as a "dinosauroid". The Ultimate Weapon Oct 8, 1985 V.E.N.O.M. use a "cyclonic disruptor" to interfere with the operating systems of M.A.S.K. 's vehichles. The Roteks Oct 9, 1985 V.E.N.O.M. steal a colony of metal-eating insects developed for warfare. The Oz Effect Oct 10, 1985 Sly Rax disguises himself an aboriginal priest. V.E.N.O.M. has a machine that causes a giant vortex which they use to "kidnap" the village people. Death from the Sky Oct 11, 1985 V.E.N.O.M. terrorize military aircraft with a submarine that is equipped with an anti gravity force-field and a tractor ray. The Magma Mole Oct 14, 1985 V.E.N.O.M. has a drilling vehicle called The Magma Mole that they are using to burrow beneath Tokyo to create devastating floods. Solaria Park Oct 15, 1985 Location: Greece V.E.N.O.M. has built an amusement park to hide a giant heat ray weapon. The Creeping Terror Oct 16, 1985 Location: Some Jungle VENOM has genetically altered caterpillar eggs to create giant caterpillars. They are using the giant caterpillars to clear away the vegetation in the jungle to reveal a map carved on the jungle floor. The map leads to the Hidden Valley, the location of an ancient source of great power -- a Myan crystal. The Sceptre of Rajim Oct 18, 1985 Location: India V.E.N.O.M. steals a sceptre from the underground city of Rajim. They want the sceptre because of its ability to neutralize radiation. Matt and the team pursue them into the city, only to become prisoners of the city's inhabitants, Matt convinces the leader of the rajim community to let him go after Mayhem and attempt to retrieve the sceptre, he agrees, but Matt must leave his teamates behind, if he does not return, then the remainder of the team will perish! Matt, in thunder hawk, engages in aerial battle with mayhem and succeeds in retrieving the sceptre, he returns it to rajim, and his friends are released. The M.A.S.K. agents vow to keep rajim's existence a secret. The Golden Goddess Oct 21, 1985 Location: Singapore V.E.N.O.M. is raiding temples and stealing golden relics, including The Golden Goddess of Sarawak. They are liquifying the gold and stealing it by pumping it through the city's old abandoned drainage system. Mystery of the Rings Oct 22, 1985 Location: Unknown There are 3 valuable rings from the Renaissance that, when combined, will lead to a great ancient treasure. V.E.N.O.M. steals the rings and combine the rings on the ruins at Sunhenge. Sunbeams are focused on the crystals of the rings to create a laser beam that burns a hole in the side of a nearby mountain, revealing the treasure. M.A.S.K. battles V.E.N.O.M. and recovers the treasure, with the help of Rhino's smoke bombs. Bad Vibrations Oct 23, 1985 Location: Hong Kong Millionaire Julian Fong hires V.E.N.O.M. to blow up buildings with the high-tech resonator bombs. Ghost Bomb Oct 24, 1985 Location: Panama Brian, the Brain is a computer that controls a nuclear submarine. V.E.N.O.M. threatens to blow up the Panama Canal if their demands are not met. Cold Fever Oct 25, 1985 Location: Alaska Bruce finds a man wandering in Alaska who has been exposed to a strange virus, and Bruce gets infected too. V.E.N.O.M. has the antidote, and they plan to sell it for lots of $$$. Mardi Gras Mystery Oct 28, 1985 Location: New Orleans, LA During Mardi Gras, VENOM tries to obtain a super fuel. The Secret of Life Oct 29, 1985 Location: Egypt Rax dresses up as a mummy and V.E.N.O.M. steals a stone tablet with a map leading to King Tut's tomb. They are after a golden scarab that contains ""The Secret of Life"". Vanishing Point Oct 30, 1985 Location: Unkown V.E.N.O.M. hijacks planes. They have an 'impostor' airport in the desert and use a radar jammer to confuse the real airports. Counter-Clockwise Caper Oct 31, 1985 Location: Las Vegas, Nevada VENOM conducts heists of Las Vegas casinos. The Plant Show Nov 1, 1985 Location: Los Angeles, California Brad's rock band is performing at the Hollywood Bowl when giant plants begin to cause havoc all over the city. V.E.N.O.M. immediately claim responsibility for the attacks, Mayhem threatens to blanket all of California in his vicious vines unless his ransom demand of $100,000,000 is paid, but M.A.S.K. are able to pull through in the end and cut Mayhem's colossal plants down to size by freezing them because the plants die from Cold. Secret of the Andes Nov 4, 1985 Location: Cuzco, Peru A preserved Incan priest is discovered in the aftermath of an avalanche and promises the way to El Dorado, the Lost City of Gold. Panda Power Nov 5, 1985 Location: China, Easter Island V.E.N.O.M. kidnaps a sculpter who is working on a large sculpture of a panda bear for a ceremony in China. They also kidnap some panda bears from a preserve, and they bring them to Easter Island. M.A.S.K. must get the pandas out of harm's way before they can battle V.E.N.O.M. Blackout Nov 6, 1985 Location: Japan V.E.N.O.M. is draining power supplies with a vehicle called Blackout. A Matter of Gravity Nov 7, 1985 Location: Philadelphia, Pennsylvania Firecracker is destroyed by a heat ray weapon attached to Switchblade. Hurricane is introduced at the end of the show by the name ""Night Stalker"". The Lost Riches of Rio Nov 8, 1985 Location: Rio De Janeiro V.E.N.O.M. steals a worthless painting that is actually a map to a Nazi raider's gold stash inside Sugarloaf Mountain. Deadly Blue Slime Nov 11, 1985 Location: Africa The blue monster is made of protoplasm, and it is a science experiment gone awry. It devours nearly anything in its way and its only weakness is salt. The Currency of Conspiracy Nov 12, 1985 Location: Switzerland An ex-minister from West Germany hires V.E.N.O.M. to help him spread a virus that turns money bills into blank pieces of paper. Caesar's Sword Nov 13, 1985 Location: Athens Rax disguises himself as Julius Caesar, in order to scare off some archaeologists. VENOM is searching for Caesar's Sword of Victory. Peril in Paris Nov 14, 1985 Location: France Buddy disguises himself as Dagger and sneaks into VENOM's secret hide out, learning about their plans. The blueprint is a map that shows the location of a Nazi doomsday device built in WW2. Nightstalker is called Hurricane from this point on. In Dutch Nov 15, 1985 Location: Holland A millionaire has hired V.E.N.O.M. to steal a machine that can cause ultra sonic vibrations. The millionaire wants to become vice president of the Netherlands, and if his demands are not met he will destroy all of Holland's dykes. He only wanted to bluff -- too bad Mayhem never bluffs. The Lippizaner Mystery Nov 18, 1985 Location: Unknown V.E.N.O.M. steals the famous Lippizaner Stallions, earning $4 million in platinum bars from an Arab. At the end V.E.N.O.M. loses the money (by a laser shot from Shark) and they all quickly flee in Piranha. The Sacred Rock Nov 19, 1985 Location: Australia V.E.N.O.M. is manipulating a tribe of aboriginals with holographic projections of flying rocks. The aboriginals think it's their god Mimi. V.E.N.O.M. is after the secret treasure chamber of Mimi. Scott and T-Bob get mixed up with the aboriginals when they think T-Bob is representing their Mimi god. At the end Brad saves the day with his hocus pocus mask. Curse of Solomon's Gorge Nov 20, 1985 Location: Africa Researchers in Africa discover a Golden Scarab which they believe to be part of a hidden treasure that belonged to a lost tribe of Egypt. Of course, V.E.N.O.M. is after the treasure themselves. Sly Rax accidentally triggers an ancient device in an underground lake that creates an opening in the walls of Solomon's Gorge and reveals the treasure. M.A.S.K. must stop V.E.N.O.M from escaping with the treasure. Green Nightmare Nov 21, 1985 Location: New Guinea Alex has made an exact replica of the M.A.S.K. crystal used to power up the masks. Matt tells a story about his father (Andrew) who got the crystal from a tribe leader named Warago in New Guinea. Andrew promised to return the crystal once it has been used for a good cause. Matt takes Scott and T-bob aboard his private jet and flies to New Guinea, and while they are refueling the plane Vanessa sabotages it, allowing it to crash in the jungle. The M.A.S.K. team immediately picks up the S.O.S. signals from the plane and starts a rescue party. Eyes of the Skull Nov 22, 1985 Location: San Francisco, USA V.E.N.O.M. steals an artifact, a so-called 'crystal skull' that allows x-ray vision. By using the skull during combat with M.A.S.K., Mayhem sees through the masks and discovers Matt Trakker's true identity. V.E.N.O.M. kidnaps Scott Trakker and demands as a ransom all M.A.S.K. secrets and the Trakker family fortune in return for Scott's release. An art collector tells Matt that when the skull is destroyed, the knowledge obtained with it is also gone. M.A.S.K. destroys the skull and their secret is safe once again. Stop Motion Nov 25, 1985 Location: Indianapolis, Indiana Gloria is racing in the Indy 500 when all of the TV stations, cars on the racing track and other electronic devices around the stadium stop functioning. V.E.N.O.M. is giving a test run of their Electromagnetic Pulse (EMP) Device. Their main objective is to raid the vault of the federal bank to obtain a book that holds combinations to all the bank vaults in America. The Artemis Enigma Nov 26, 1985 Location: Athens Some monks living in a mountain castle have a golden horn that can locate gold. The Chinese Scorpion Nov 27, 1985 Location: China V.E.N.O.M. kidnaps a scientist who has located a treasure hidden in the Great Wall of China. Eyewitnesses say a giant metal scorpion took the professor. Bruno Sheppard's Stinger was hidden inside the scorpion shell. Thunderhawk gets buried inside the Great Wall by the scorpion and is severely damaged. The Riddle of the Raven Master Nov 28, 1985 Location: London, England V.E.N.O.M. uses ravens, trained by Vanessa, to steal the crown jewels, and as a diversion Rax has installed a bomb in Big Ben. The Spectre of Captain Kidd Nov 29, 1985 Location: Unknown Matt, Hondo, Scott and T-Bob are visiting an island that once belonged to a famous captain named Captain Kidd. Suddenly cannon shots are fired from the island. Each cannonball is filled with a golden ball. MASK decides to play a trick on VENOM by changing the real canonballs at the castle for dummys filled with bubble gum. First appearance Floyd Malloy and Vampire. The Secret of the Stones Dec 2, 1985 Location: Some Jungle V.E.N.O.M. steals a stone that makes objects weightless. The only problem is, the stone loses its power when it is removed from where they found it. Hondo uses his Blaster II mask (the one from Hurricane) for the first time. The Lost Fleet Dec 3, 1985 Location: Island? V.E.N.O.M. steals sails from boats to make a balloon that can lift the village from its foundations. The balloon fills up the lavaholes underneath the city making a lost golden fleet reappear. First appearance of Jacques LaFleur and Volcano. Quest of the Canyon Dec 4, 1985 Location: Unknown V.E.N.O.M. is after a hidden treasure stolen by Jesse James in 1878 that has never been recovered. First appearance of Ace Riker and Slingshot. Follow the Rainbow Dec 5, 1985 Location: Ireland V.E.N.O.M. is after a treasure that can be found at the end of a rainbow. First appearance of Calhoun Burns and Raven, as well as Julio Lopez and Firefly. The Everglades Oddity Dec 6, 1985 Location: Unknown Matt is bitten by a snake and isn't able to lead the team against V.E.N.O.M. who are trying to steal a space shuttle. Alex Sector is Matt's temporary replacement as M.A.S.K. leader. Dragonfire Dec 9, 1985 Location: Borneo V.E.N.O.M. is after a jade dragonhead that is kept in the Temple of the Dragon on Mount Kinabalu. They terrorize a village, demanding to know the location of the Temple. M.A.S.K. rushes to stop them, but before they can, V.E.N.O.M. inadvertently releases the guardians of the temple, the monitor lizards! The Royal Cape Caper Dec 10, 1985 Location: Hawaii V.E.N.O.M. steals an artifact (a cape and helmet) and earns big money by selling fake replicas until M.A.S.K. puts an end to their scheme. Patchwork Puzzle Dec 11, 1985 Location: Washington, DC V.E.N.O.M. steals a quilt and a fireplace screen from an exhibit in a museum. By following V.E.N.O.M. 's gas fumes with Hurricane's infra-red sensors, M.A.S.K. discovers V.E.N.O.M. 's secret hideout. By holding the screen in front of the quilt, a message in morse code is revealed, telling of a stash of 3 million dollars hidden by the Washington Monument. V.E.N.O.M. gets to the monument first, but the money turns out to be worthless counterfeit civil war money. Fog On Boulder Hill Dec 12, 1985 Location: Nevada? V.E.N.O.M. kidnaps an old woman who used to babysit Scott. In her car stolen $20 counterfeit plates are hidden. Lots of cool action around Boulder Hill in this episode. Also, Firecracker is back! Plunder of Glowworm Grotto Dec 13, 1985 Location: New Zeland Julio is visiting a village in New Zealand. He's checking on a project of the Matt Trakker Foundation which helps the people preserve the natives way of life. During the welcoming ceremony everyone is knocked out, and when they awaken, the chief's back has been covered with some kind of paint. The painting on the chief's back appears to be a treasure map leading to a cave that has giant sea shells that hold giant pearls. Stone Trees Dec 16, 1985 Location: Unknown Jacques is doing his daily job sawing trees when he hits a tree that's made out of stone and has an inscription on it. V.E.N.OM. steals the tree and translates the inscriptions in order to discover the location of a golden totem. Incident in Istanbul Dec 17, 1985 Location: Istanbul V.E.N.O.M. hijacks an armored truck being escorted by Thunderhawk to a museum. The truck is carrying ""The Emperor's Chess Set"", which, when combined together with a painting, shows the location of a golden crown which is hidden inside a church. The Creeping Desert Dec 18, 1985 Location: Acapulco Jose Sanchez, the owner of a large complex of Acapulco hotels, hires V.E.N.O.M. to destroy all other land around his own property, by turning it in to a desert wasteland. After the land is destroyed he plans to buy it real cheap and restore the land with a rehydrator machine. The Scarlet Empress Dec 19, 1985 Location: Venezuela V.E.N.O.M. is trying to steal an giant aboriginal statue of the Scarlet Empress. At the end Calhoun accidentally fires his Gulliver mask and shrinks the statue. A bird flies by and takes the statue. Gorey calls his mask ""Samson"" rather than Powerhouse. Venice Menace Dec 20, 1985 Location: Venice V.E.N.O.M. steals a chemical that turns water into jelly. They use it to cover a harbor, allowing Stinger to drive on the water so they can dig up the golden ship. Treasure of the Nazca Plain Dec 23, 1985 Location: Nazca Plateau in South America MASK foils a plot by VENOM to steal an ancient South American treasure. Disappearing Act Dec 24, 1985 Location: Unknown V.E.N.O.M. steals cars from an auto museum by shrinking them. Gate of Darkness Dec 25, 1985 Location: India V.E.N.O.M. lures a cobra from a shiva-festival using a floating flute. They are after an ivory throne that is hidden in a maze in the Himalayan Mountains. The markings on the back of the cobra's head are supposed to show the way through the maze. The Manakara Giant Dec 26, 1985 Location: Nazca Plateau in South Africa A cargo ship crashes on a beach under mysterious circumstances. Native people say it is the ghost of Manakara. It is actually V.E.N.O.M. (obviously) and they have a strange new magnetic device that gets a hold of T-Bob, as well as the MASK vehicles. Raiders of the Orient Express Dec 26, 1985 Location: Switzerland V.E.N.O.M. seeks ""mad"" King Ludwig's treasure, and pilfers the Orient Express for clues.